Tsugami Kazaya is an experienced swordsman who travels to another world and back again on a daily basis while also attending high school! After a certain incident, he ended up instructing a senior student from his high school, the beautiful Mikoto Chihiro, on the basics of adventuring! After that, Chihiro, who was usually cool and difficult to approach, started to show her true bright personality only to Kazaya!? The Earth and the other world, a RomCom and an adventure story, the two of them travel constantly between the two!! It’s the start of a new twist on a fantasy after school!! Isekai Quest wa Houkago ni! A pleasantly surprising heartwarming isekai/slice of life story that doesn't take things too seriously or get so wrapped up in infodumps or world-building that the story gets lost in the process. Grammar 4/5-Occasional typos or missing words, but not headache inducing and given the surrounding context the meaning can be easily deduced. Story 3.5/5-Original and an interesting twist on two genres, but nothing groundbreaking. That said, worth reading if you like isekai or rom-com fluff. Setting 3/5-Generic, but capitalizes on it intentionally. Instead of trying to figure out how noble X and King... more>> Y interacting will affect character #5, you get otherworld characters that are already ingrained in the world being normal to a degree (on the isekai side, Earth is still 99.99999% clueless) and interacting peacefully without chaos or concerns. Well dang, this is pretty good. The grammar is pretty good, could use a little more work, but nothing currently disrupts the word flow too much. The writing is fairly standard but does a great job of pulling you into the story. There is very little world building going on, but it's okay for some reason. 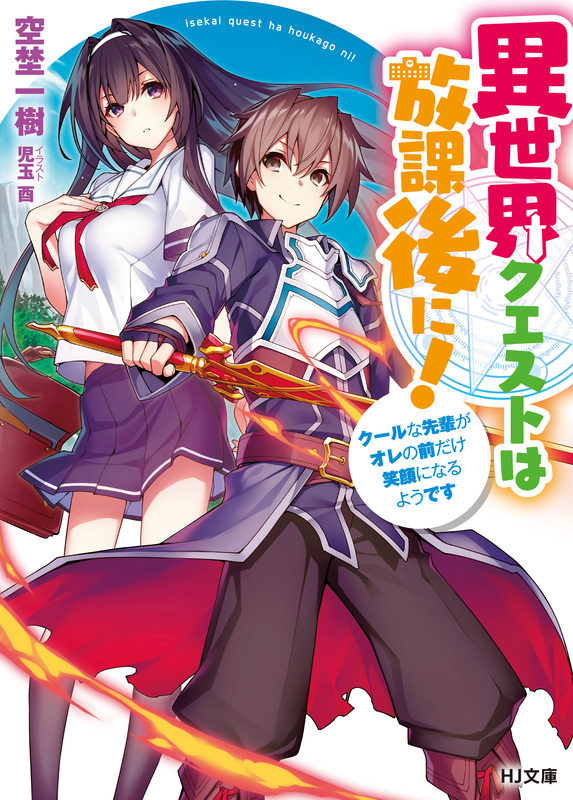 The story itself is a nice and easy isekai genre that isn't a desperate battle, but more of a casual part-time job feeling.